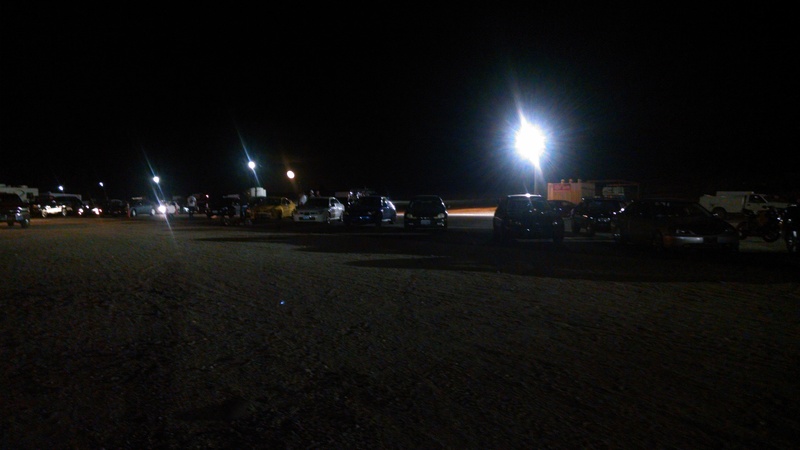 Last Friday, I was able to get out to Top Gun Raceway out in Fallon, NV for their $5 Dollar Friday event. 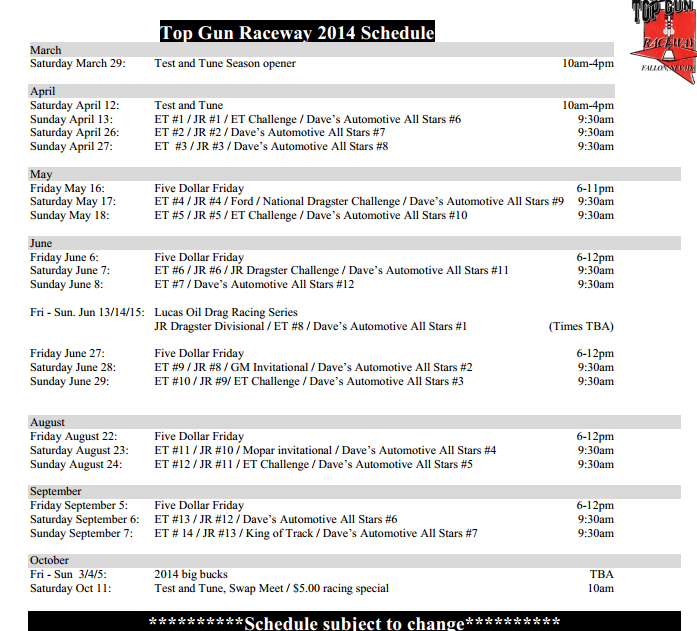 From 4pm to 11pm, it’s an open drag strip where anyone can run for $5 to spectate and an additional $10 to run. 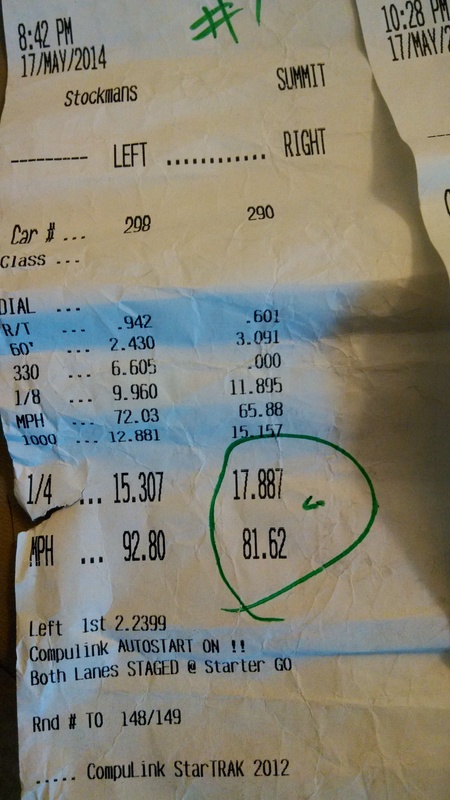 As Long as your car gets passes tech you’re free to head out there. The night was filled with a variety of cars, trucks and bikes. 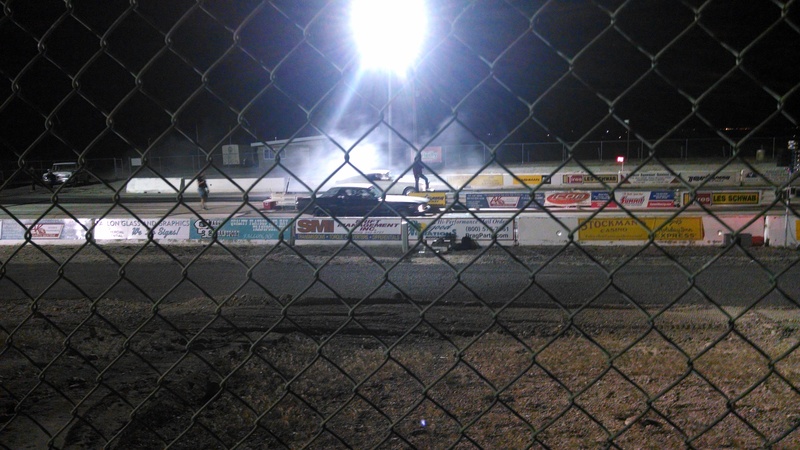 From 10 second Hondas to 13 second smoke breathing diesel trucks to some Harley Davidsons, it was the first $5 Friday of the season so groups of all kinds were in attendance. 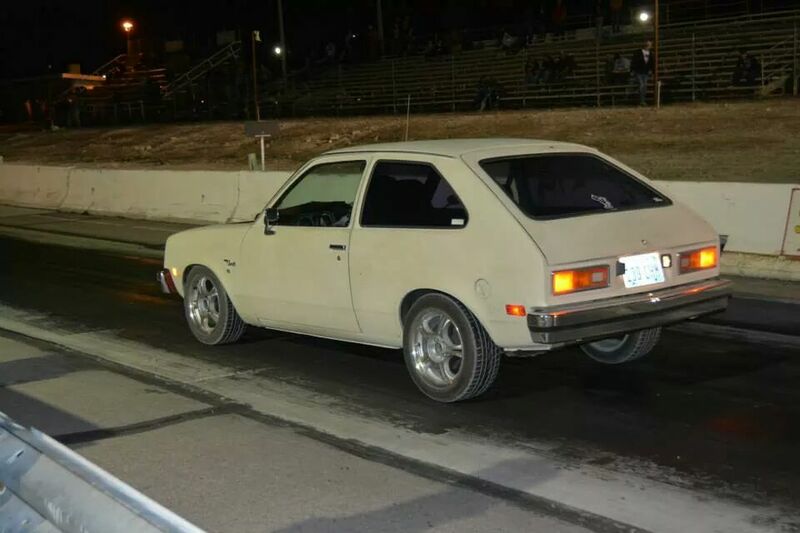 The Chevette Had been prepp’d for a while now. Almost begging for some action. I headed out right after work. 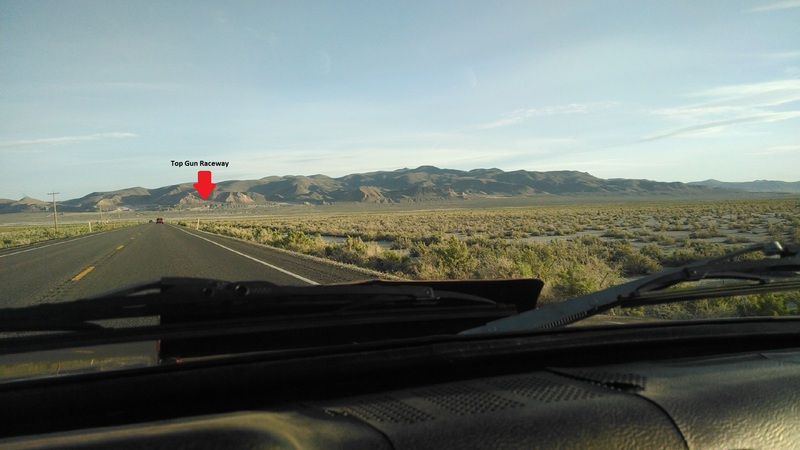 It was the first time I’ve been out to Fallon and despite being so windy in Reno, Fallon was exceptionally pleasant. Clear as day. Oh, wait. 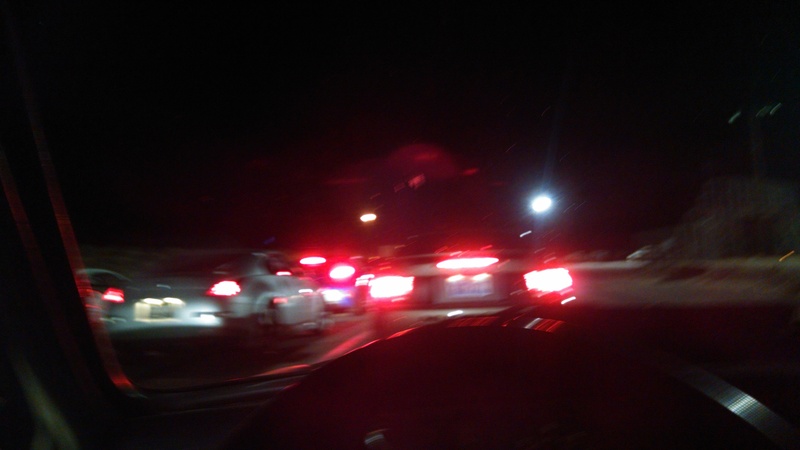 Conga line to the strip. 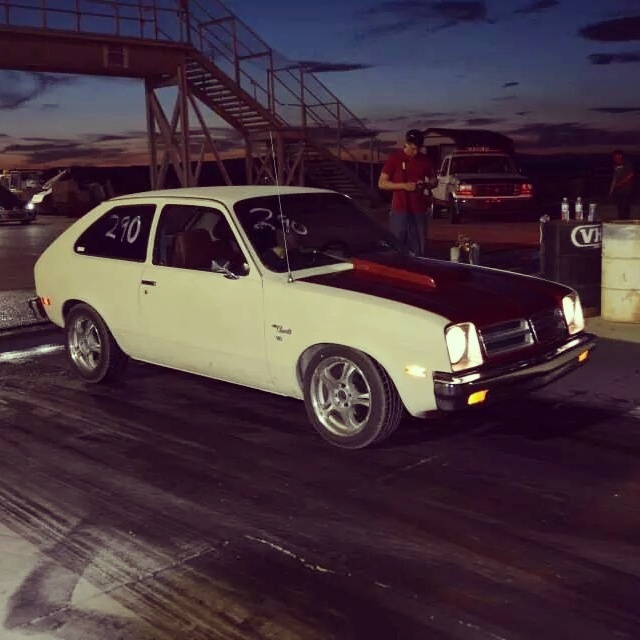 On Top Gun Raceway’s Facebook page there are ton of pictures of the cars that ran. A lot of them are very interesting to say the least. Aside from being the second slowest there, I had a ton of fun. I only ran twice, but I improved by almost .5 second in those two runs. 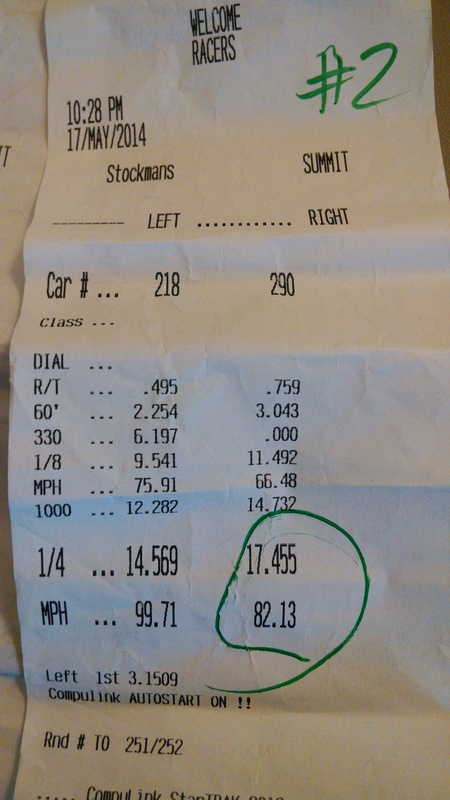 Top seed on about 80 mph. Heh. 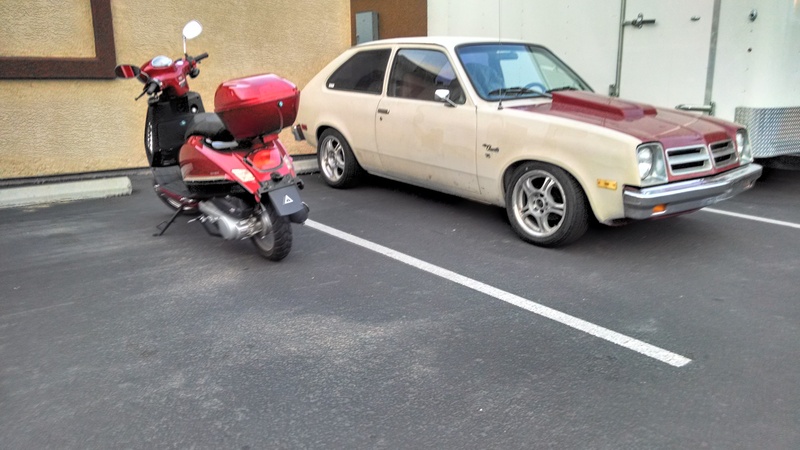 The best thing was that the Chevette is still proving to be solid. 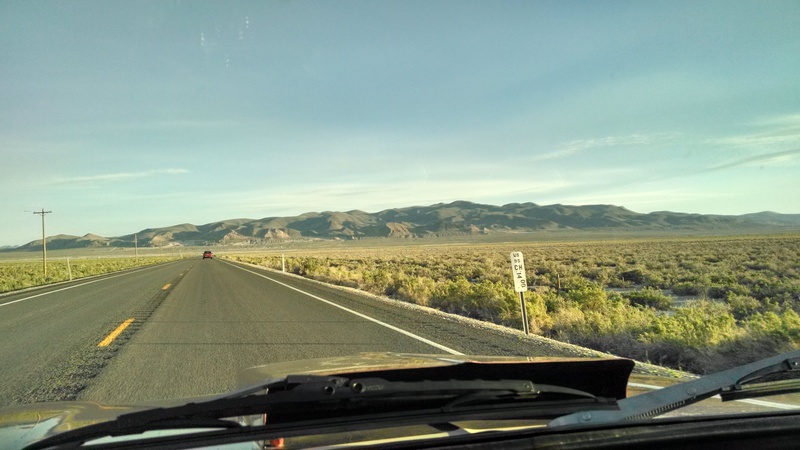 Driving to events, getting runs in, and driving back home. *knocks on wood* There are a couple of small things I’d like to fix before I head back out there on the 6th and I can always improve as a driver. Good Fun! Note: I know my media coverage of this event was horrible. I was so stoked about the whole event I forgot about pictures. 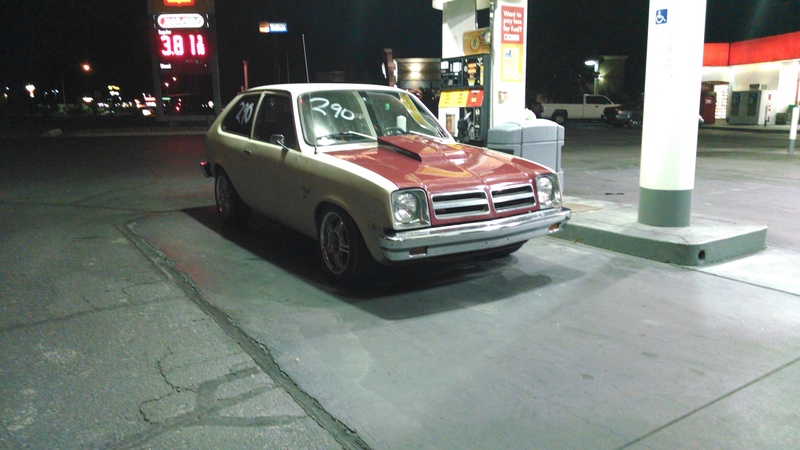 ← Chevette Part 2.5..and on.